We added a new help tool called HOW TO. You'll find it in the top left corner. 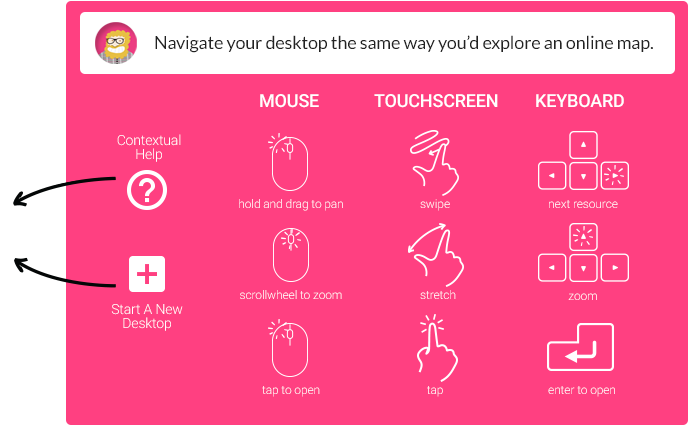 It will remind you how to navigate and use your middlespot desktop from any of your devices using either your keyboard, your touch screen, or your mouse.